Morganite is a gemstone known for its light pastel colors like soft pink, rose and peach. 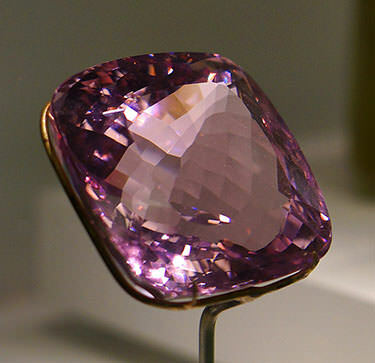 Large morganite stones can have a pinkish-purple color, but this is quite rare. Morganite is an affordable gemstone and though not as hard as diamond or sapphire you can wear it every day. Morganite is a beryl variety, just like emerald and aquamarine. 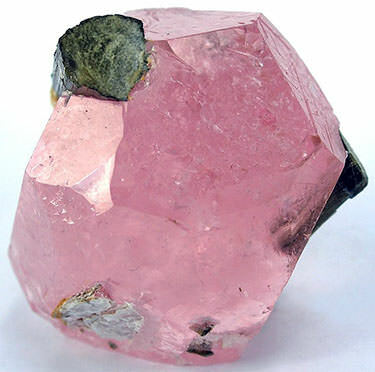 It is also known under the names of ‘pink beryl’, ‘pink emerald’ and ‘rose beryl’. 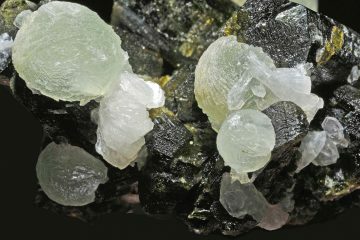 Like many crystals pure beryl is completely colorless. The green of emerald, the blue of aquamarine and the pastel colors of morganite are caused by impurities. In the case of morganite it is caused by manganese. Before 1911 morganite was known as pink beryl, but in that year the first gem quality morganite was discovered in Madagascar. F. Kunz (who kunzite was named after) suggested it was named after his friend, the famous banker and gem collector J.P. Morgan. Morganite has a hardness of 7.5 to 8 and with its high toughness it is an excellent choice for jewelry. Morganite can fade over time when exposed to direct sunlight. The color of morganite is stronger in larger stones. Small deep pink stones are uncommon. The natural color of morganite is usually between pink and orange. 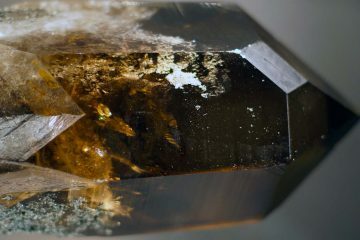 Rarely golden-peach crystals are found as well. In some cases bands of different colors are seen. Morganite is found in Afghanistan, Brazil, Burma, Madagascar, Mozambique, Pakistan, Russia and the United States (CA, MA). Currently the main producers are Brazil and Madagascar. Morganite is not a modern or traditional birthstone. Morganite is only used in jewelry. 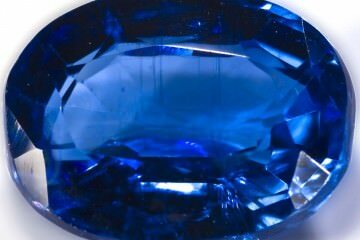 It is found as faceted gems and cabochons. Though nowhere near the value of diamonds or sapphires, morganite is not a cheap gemstone. This is why it is important to educate yourself on it before making a purchase. Color is the most important factor for the value of morganite. The saturation is more important than the hue, though pink is usually preferred. After color clarity is the most important. Large virtually flawless morganite crystals are regularly found. This means you can readily find large morganite gemstones that are eye clean or better. The color of morganite becomes stronger in larger stones. You should definitely look into buying a larger stone if it is within your budget. The high clarity of morganite also means that prices for slightly or moderately included stones are far lower. A slightly included stone will easily be 50% cheaper, while a moderately included stone can be 75% cheaper (source: Gemval). For included stones it is best to look at them in person before committing to a purchase. The inclusions may not be noticeable at all to you, but they could also be very distracting. You can either look at them in person at a local gemstone dealer or you can shop online at a store with a solid return policy. Morganite can be found in any shape you can think of, but oval and pear cuts are the most popular choices. Most stones are simply cut to maximize the color and weight of the stone. Morganite is often heat treated. This is especially true for pink stones. Peach-colored stones are less likely to have been heat treated. The heat treatment will strengthen the color by removing hints of the less popular yellow and orange colors. This treatment is permanent and is not detectable (source: GIA). If a seller claims a stone is 100% natural you have to fully trust them before making a purchase. Synthetic morganite exists, but only in small amounts (source: GIA). It is highly unlikely you will ever see synthetic morganite. In fact, a synthetic stone might be worth more than a natural stone. It is far more likely that you will see glass, cubic zirconia or synthetic corundum (sapphire) being passed off as natural morganite. The first two are easy to spot by the trained eye, the latter requires a simple test. For a beginner it will not be this easy. So we suggest you only deal with sellers and stores you can trust. Morganite treatment is extremely common. Sources indicate that as much as 90% of the stones being sold have been treated in some way. Either by heat treatment, irradiation or a combination of both (source: Rapaport) Both processes permanently improve the color. Keep this in mind when a seller claims a stone is natural. Morganite jewelry is becoming quite popular, though not nearly as popular as diamonds or sapphires. Its soft pink color is a great match for most outfits as well as other gemstones. Its relatively high hardness and toughness makes it a good choice for any piece of jewelry. However, a pendant or earrings may be the best choice. There are two reasons for this: The first is that larger stones show more color. The second is that these are generally safer for your gemstone (morganite rings can chip). Gemstone engagement rings are quickly gaining popularity. This trend is likely to continue with a number of celebrity couples opting for one instead of the traditional diamond engagement ring. Morganite engagement rings are not common, but can be a good choice as its soft pink color simply cannot be found in other gemstones. 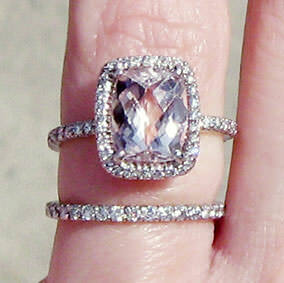 Note: Over time the color of morganite can fade due to exposure to sunlight. Reportedly the color can be restored through irradiation. Something to keep in mind when you buy an engagement ring that will be worn every day for a very long time. Beautiful soft pink color that can be worn with any outfit. More unique than a diamond engagement ring. You will rarely meet someone else with a morganite engagement ring. Far cheaper than a diamond. You can buy a top quality 10 carat morganite stone instead of a 1 carat diamond and still save thousands of dollars. It does not have the sparkle of a diamond or the vivid colors of sapphire and emerald. Most people still expect to see a diamond when that box opens. You have to be sure your significant other is on board with the idea. 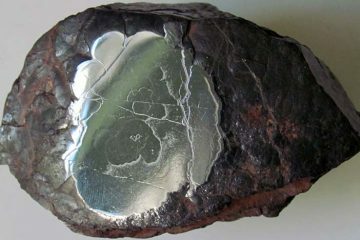 It has a high hardness, but not nearly as high as diamonds or sapphires. Some stones can fade over time due to sunlight. Not ideal for an engagement ring. Cleaning morganite is very simple. You can use ultrasonic and jewelry steam cleaners on it due to its high hardness and toughness. You can also use a soft cloth, warm water and a mild soap. You will likely need to clean morganite more often than other gemstones. Morganite will quickly look a bit greasy or dirty, often within just a few days. This is not because it attracts more oils and dirt, but simply the way it looks. You can clean it as often as you want without problems. Storing morganite is easy. You just have to keep it away from other gemstones and in a dark place. Morganite can be scratched by sapphire and diamond (among others) and can scratch most other gemstones. The best option is to store it in a soft pouch or a padded jewelry box. Store it in a dark place as some stones can fade over time due to sunlight. 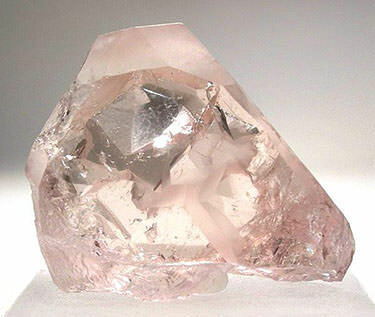 Morganite has a high hardness and is quite tough. You can wear it every day, but you should be careful about bumping into things. Some people will caution you to be careful with morganite because it can change color when heated. It can indeed change color, but this requires a temperature of 500 degrees Celcius. This is not something you will encounter on a regular day. 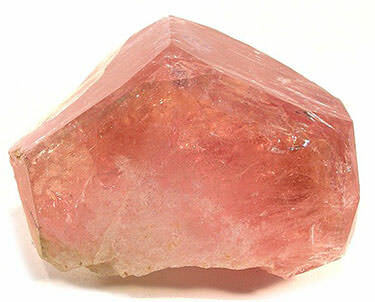 A large number of mystical powers have been attributed to morganite. Due to its soft pink colors most of these powers are related to love, compassion and stress-relief. 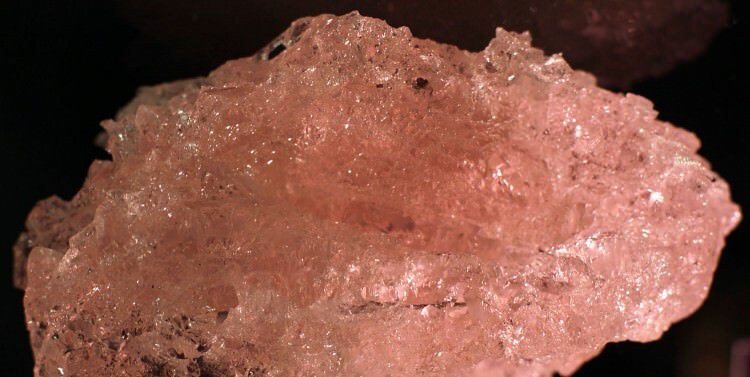 This video showcases the beautiful peachy-pink color of a large unheated morganite gemstone. There are a number of gemstones that have a similar color, however, the soft pink colors of morganite are hard to replicate. Kunzite is quite similar, but its hardness of 6.5 to 7 makes it less suitable for jewelry. Rose quartz has a similar color, but is more opaque and has a hardness of 7. Pink tourmaline, spinel, topaz and sapphire usually have richer pink colors and are (far) more expensive. The exception is tourmaline which is similar in price. Fancy diamonds can have a similar color and are an excellent choice for jewelry. Unfortunately they are extremely expensive and for most budgets only enhanced pink diamonds are an option. Minerals.net – This site has more scientific information on morganite. Gemval – For more info on the retail value of morganite. This is rubbish, a mere pretense at authority! Synthetic morganite is NOT “usually sold under the name pink emerald or pink aquamarine” at all. Conmen try to pass it off as “morganite” way more often than they try to pass it off as pink emerald. Moreover, practically no-one in the jewellery trade uses the term “pink aquamarine”. Get your facts straight JewelleryAdvisor. Thank you for the correction, it should have been “sometimes sold under” of course. While it is true that “pink aquamarine” is hardly used in the jewelry trade, there are exceptions and it has a habit of appearing on sites like Ebay. We try to be as thorough as possible, that is why we included it. I got a morganite ring on Overstock.com and love it, but how do I know if it’s synthetic or not? They called it morganite. Overstock discloses the treatments in the bolded part at the bottom of the product details. From a quick look at their morganite jewelry we’ve seen that most of it is heated. Sometimes it is enhanced by ?traditional methods? which we assume is also heating in the case of morganite. We’ve seen no synthetic morganite, but to be sure you should check the disclosure of the particular ring you bought. Just wondering if you could render an opinion on the morganite ring offered for sale on Costco.com? From what we can tell that morganite ring is mediocre at best. A lot of the $1200 you’ll pay seems to have gone towards the diamonds, rather than the morganite as its color looks fairly bland. Though this is partly due to the white gold ring, instead of the rose gold you’ll see almost everywhere else. More troubling is that we couldn’t find any disclosure on treatments and the quality of the morganite. So, we advise you to take a look elsewhere. There are plenty of places that properly disclose their treatments and likely offer more value for your money. I won a 4.75 ct 15x10mm Morganite on JTV auctions for $75.00 is this a good deal ? Unfortunately that’s impossible to tell without seeing it in person. It could be a great deal or a horrible one, depending on color, cut and treatments. I have morganite ring from dior, it’s called the rose gold morganite oui ring. It was pretty expensive, and when I first got it the stone was peachy but the stone had scratch on top and I went back to exchange it, then the next ring they gave me it was a more clear stone , I would say less peachy, more white or more similar color as to a regular diamond.i wasn’t very happy because I got the morganite for its beautiful peach tones. So they offer me to polish the first ring with the deeper color. I’m looking at a few Morganite rings on an Etsy shop I found, is there any way to tell their authenticity? Unfortunately it is impossible to tell their authenticity from the pictures and information provided by the store.